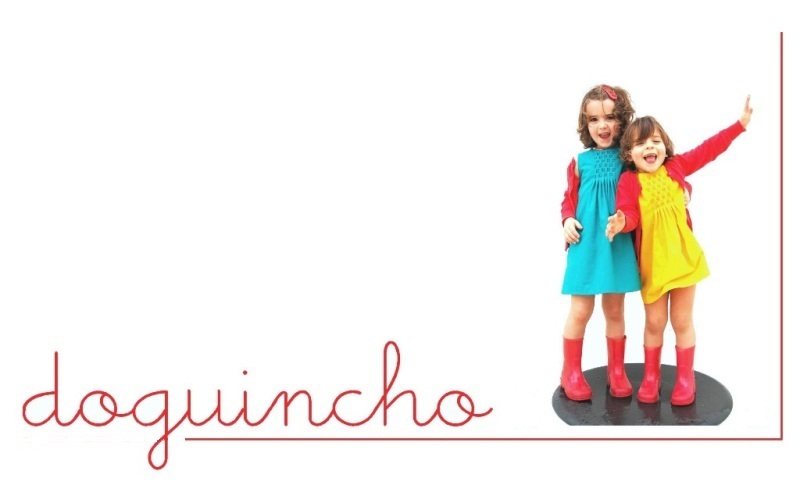 do guincho: THE BEDFORD DRESS AND TOP BY BROOKLYN PATTERN CO. THE BEDFORD DRESS AND TOP BY BROOKLYN PATTERN CO. I don’t know if I have already told you but, lately, Teresa has been really hard to please in terms of clothing. 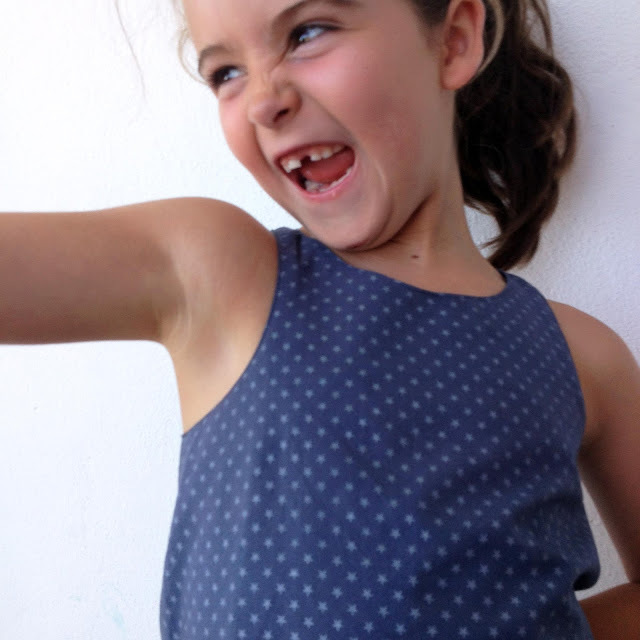 I have been struggling to find patterns and fabrics she likes but this time, thanks to Erin from Brooklyn Pattern Co., I think I have nailed it! As soon as I showed Teresa her new Bedford Top made with the silver star France Duval-Stalla fabric I got in Paris she said: I LOVE IT! And I thought to myself: HURRAY! 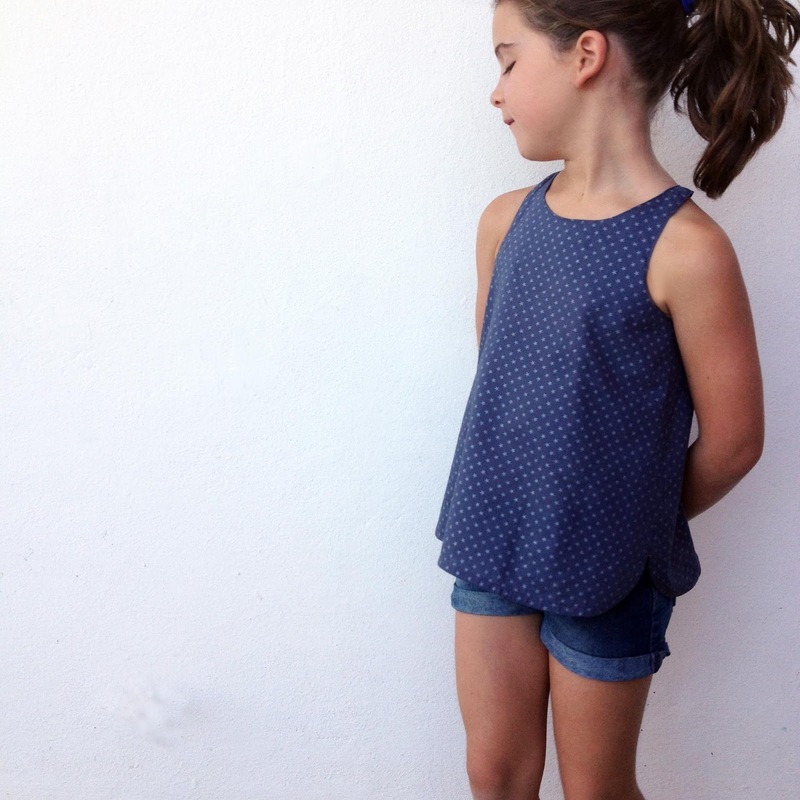 PATTERN: The Bedford Dress and Top by Brooklyn Pattern Co. I must confess I also felt in love with this top/dress the first time I saw it. It is such simple but so cool design. Perfect to make a 7 year old girl look really stylish! Teresa needed tops more than dresses so I made the top version. According to her chest measurement, I should sew a size 5 and so I did. I really like the fitting but I must confess I have already sewn another Bedford in size 7 because I love this top so much I want it to last. So, though on the blog photos Teresa is wearing the smaller top, in reality she will be wearing the bigger one and Ines will wear the smaller one. (Confusing?! That’s what happens when my kids wear matchy-matchy outfits!) And you know what? Both size 5 and size 7 do fit her nicely and that's a really great thing on a pattern. This was the first time I have sewn a Brooklyn Pattern Co. pattern and I was amazed with the quality of the overall design, the super clear instructions (I prefer diagrams to photos and Erin’s diagrams are perfect!) and, as I said before, the impeccable fitting. But, though the instructions really easy to follow, the technics are kind of challenging… A perfect project if you are an intermediate sewer looking for a nice challenge! On my second top I have actually used this technic to close the harmholes. 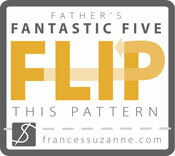 It is a great "backup" technic if you don't want to topstich though the way Erin tells you to do it perfect too. The zipper and matching bias tape I’ve used to hem the tunic (the only thing I have changed to the original design) are from my local shop and I just adore the contrast between the pink and the bluish grey. So do you feel like trying this pattern too? Or the Henry? Or the Franklin? 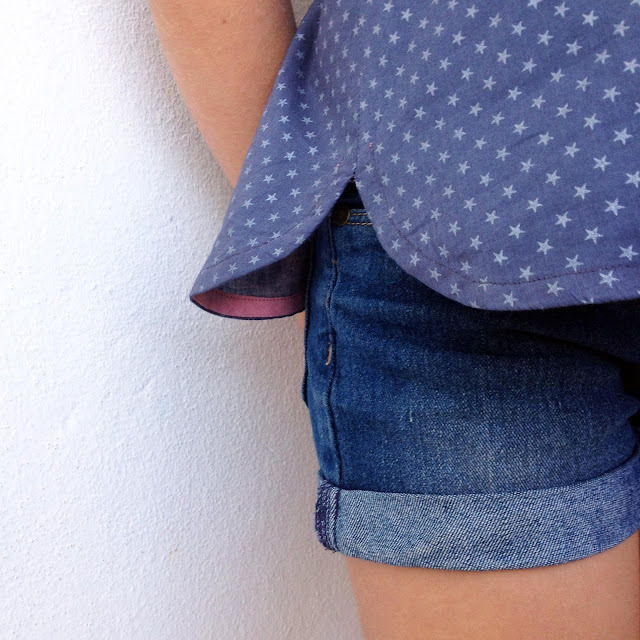 Brooklyn Pattern Co. is offering a special launch discount until July 15 (11:59p.m.)! 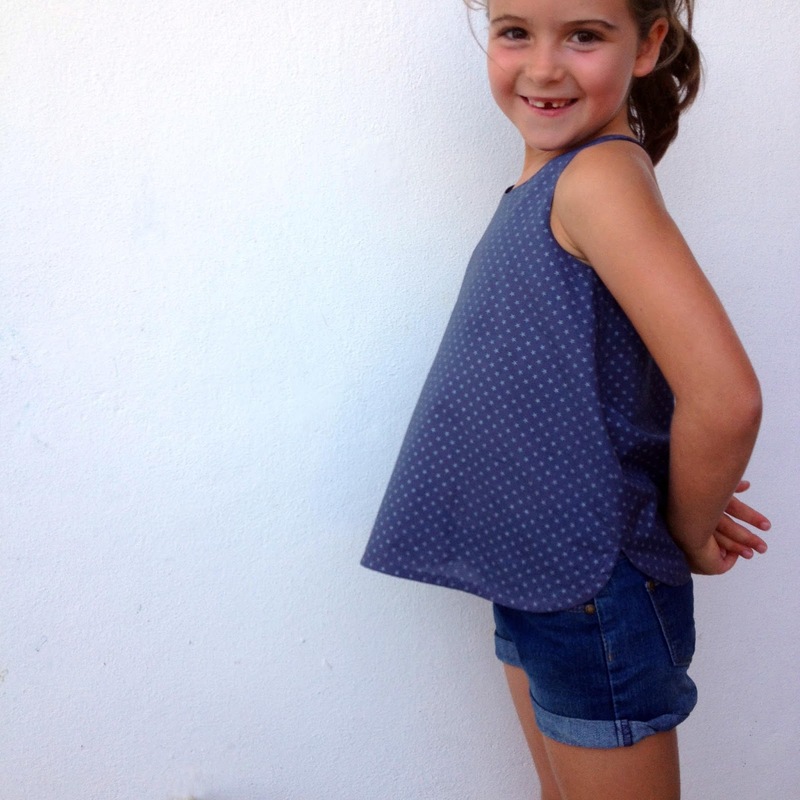 You can get 20% off any pattern with the code SUMMERFUN15. 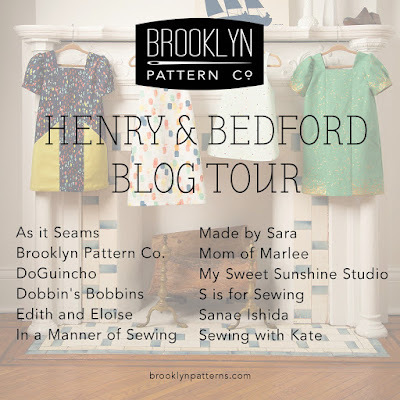 And don’t forget to check all other Henry and Bedford dresses and tops on the blogtour. The lineup of bloggers is amazing and I am sure we will all be super inspired! Thank you Erin for such a great pattern! Love this top. It looks fab in this fabric. I agree, the zipper and bias binding add a couple of cute details. Love it! Wish I could make one for myself! She looks beautiful (minus one tooth)! The top is perfect! The fabric, the pink, everything is perfect! I really missed your posts! Please keep them coming! Really lovely. I particularly like the curved hem and your fabric. Que chulo! Casi me gusta mas la version top que la version vestido!